We’re excited to announce that this year’s Construction Week will be held from October 1-5, 2018. To help us celebrate the 3rd annual Construction Week, Gov. 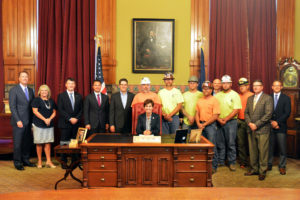 Kim Reynolds has already officially proclaimed October 1-5, 2018 as Construction Week. As an MBI member–and integral part of making Construction Week a success–we are inviting you to mark your calendars, to help us promote the men and women in the commercial construction industry, and showcase the rewarding careers that are available right now! There are numerous ways for you and your company to get involved in celebrating Construction Week. All of our Construction Week resources can be found on the MBI website, which will be updated regularly as more resources become available. Logos, Marketing Materials, Sample Articles, and More!